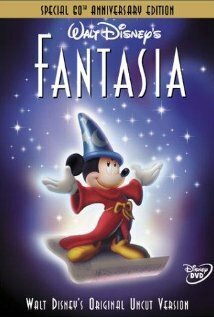 Fantasia is o ne of Disney’s collection movies, which means that it tells multiple stories during the same movie. One of the most popular segments is about Mickey who is playing as an apprentice to a powerful sorcerer. He mistakenly unleashes a flurry of magic that wreaks havoc on the sorcerer’s home. Mickey does everything he can think of to stop the spells before his mentor returns. The other segments are also beautifully told, but this one is simply the best out of all of them. Since this film was released in 1940, you can be sure that Fantasia is a classic Disney film. To learn more about Disney’s Fantasia, you should go to http://www.imdb.com/title/tt0032455/?ref_=sr_2. Honestly, you will not be disappointed. This movie gets a five out of five popcorns rating.